December 20, 2014 February 4, 2017 Hallie B. 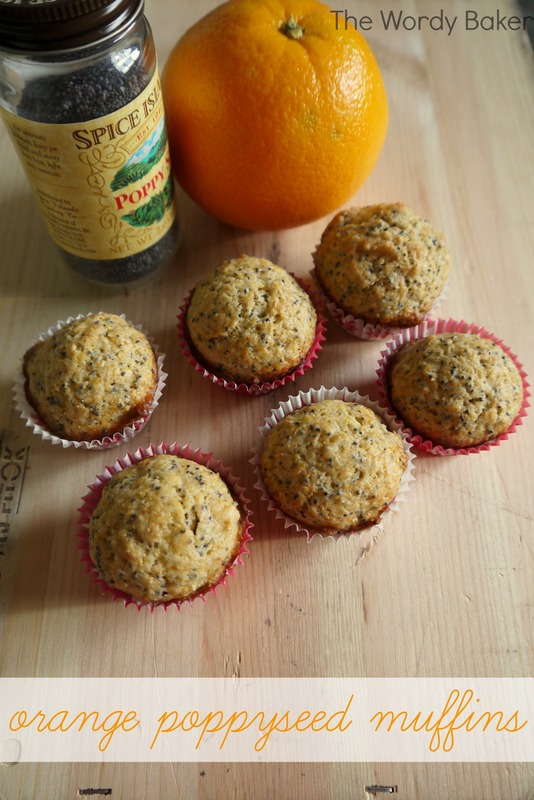 A bright, citrus-y spin on a classic–orange poppy seed muffins! Does it seem to anyone else that this month is going by super fast? I feel like I was just out of town for Thanksgiving, and now it’s time to leave again. I suppose it’s been that way ever since I moved away from my parents’ house several years ago, and in some ways it was worse in college because our fall semester always ended the second week of December, so Thanksgiving and Christmas break were literally right after one another. But the holidays this year seem particularly smushed together. Christmas is in five days. Five. I have not bought all of my presents, much less wrapped the ones I do have. As soon as I post this (and I am once again writing the same day as I post), I am putting on real clothes and going to try one more time to find presents and buy wrapping paper. I know, I shared a muffin recipe not too long ago, but muffins are just so good. SO good. And so easy! Anyway, this recipe is a little different from my others (Exhibit A, Exhibit B). 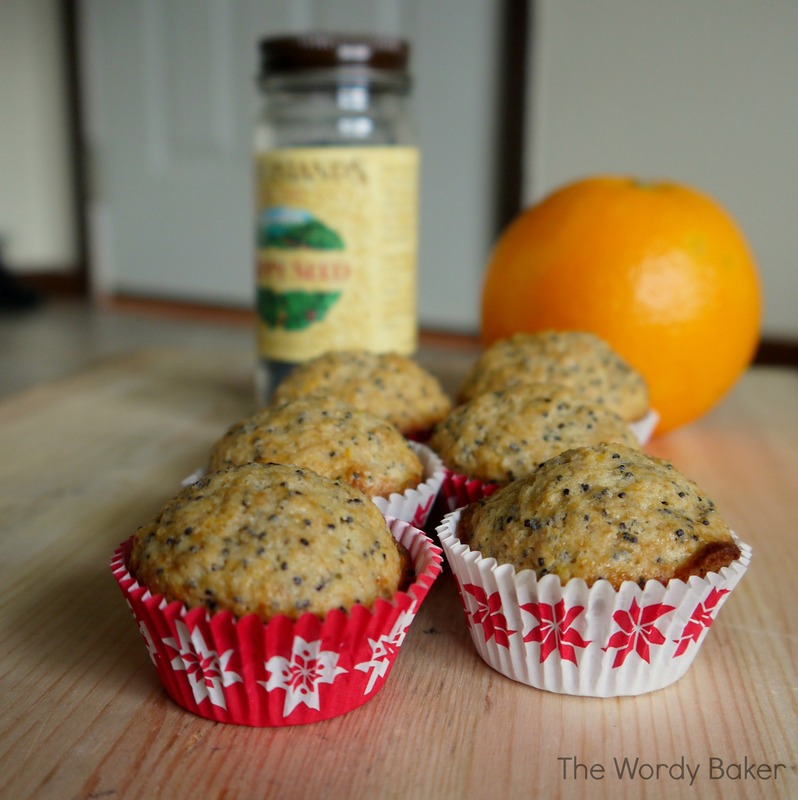 Lemon poppy seed muffins were a treat when I was little. The mom of a friend would buy them from the bakery section of King’s, the fancier grocery store in town, and we would have them as a snack, sitting at her kitchen table. I’ve replaced the lemon with orange (more appropriate for December, IMHO), but the flavor is just as fantastic. Bright, citrus-y, with a bite from the poppy seeds! Of course, if you would rather stick to the classic, you can just replace the orange zest and juice with lemon. Or you could mix it up and use a combination, or your other favorite citrus fruit. Preheat oven to 400ºF. Grease muffin pans or line with papers. In a small bowl or cup, mix together poppy seeds and milk. Let sit for about twenty minutes. In a separate small bowl, whisk together flour, baking powder, baking soda, salt, and orange zest. In a larger bowl, whisk poppy seed/milk mixture, eggs, sugar, melted butter, and orange zest until smooth. Add the dry ingredients to the wet and stir until just moistened. Spoon batter into prepared pan(s), filling each 3/4 of the way full. Bake mini muffins 12-14 minutes and regular muffins 15-18 minutes, or until a toothpick inserted into the center comes out clean and the tops are light golden brown. Posted to Sweet & Savoury Sunday! I loved them! Happy holidays to you too! Those look lovely and moist, I love the ease of muffins plus they taste good to! I’m opening the link party early this week to make up for missing last weeks, so be sure to stop by and link up at the earlier time of Saturday 8am UK time. Happy New Year!